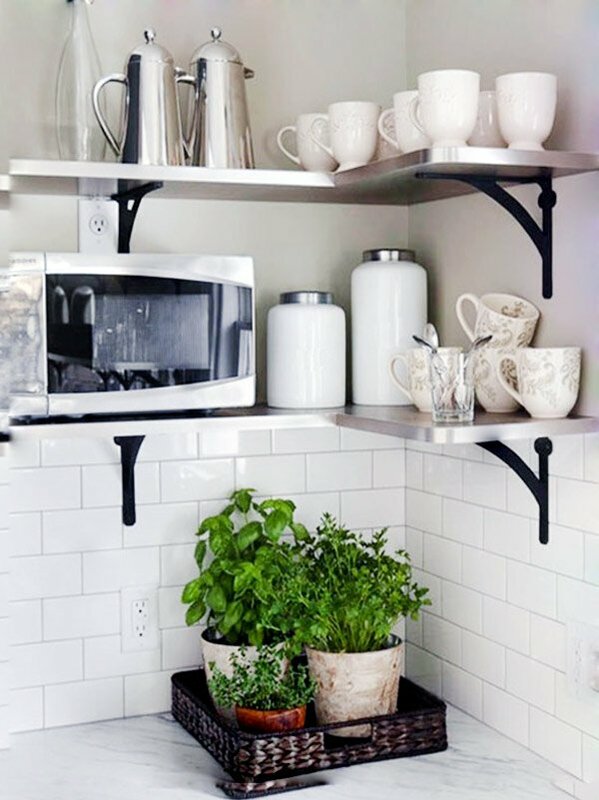 Looking to spice up your kitchen? 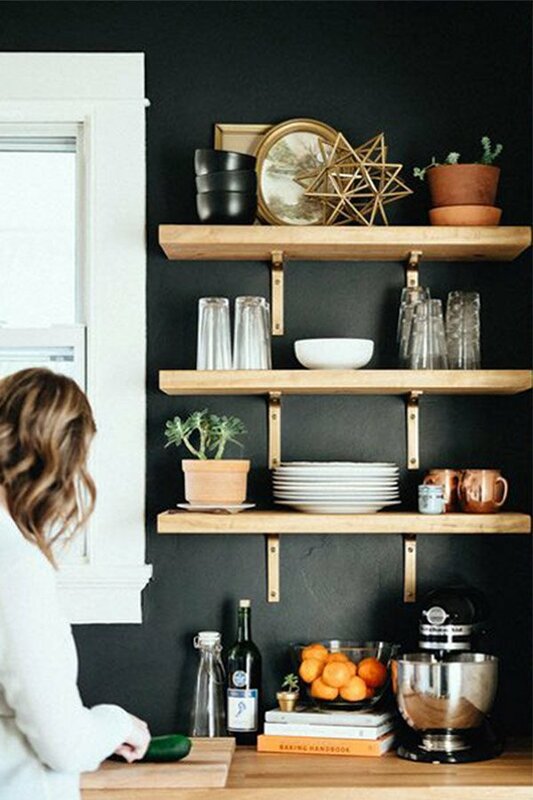 Kitchen shelves always do the trick. 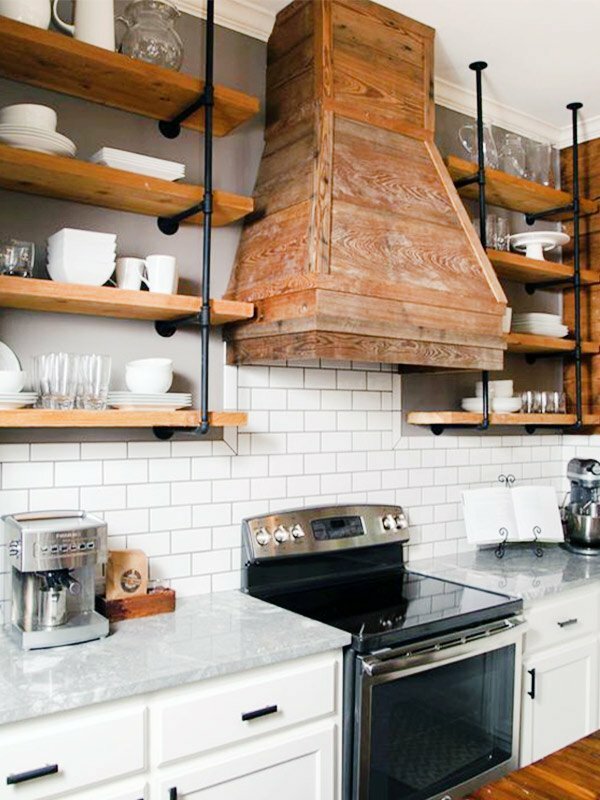 Affordable and fun to install, kitchen shelves make everything accessible, and bring a new approach to your kitchen, and are functional. 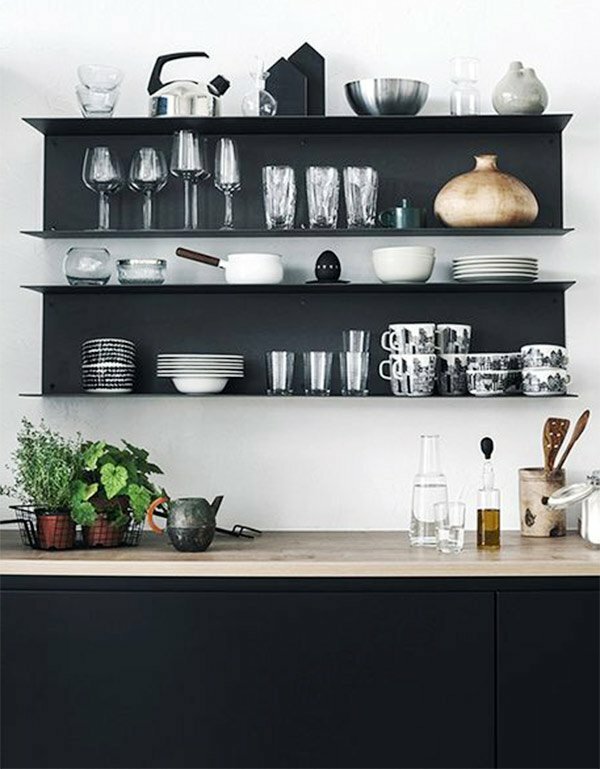 Shelves drastically change the atmosphere of the room, and complement the rest of the decoration. 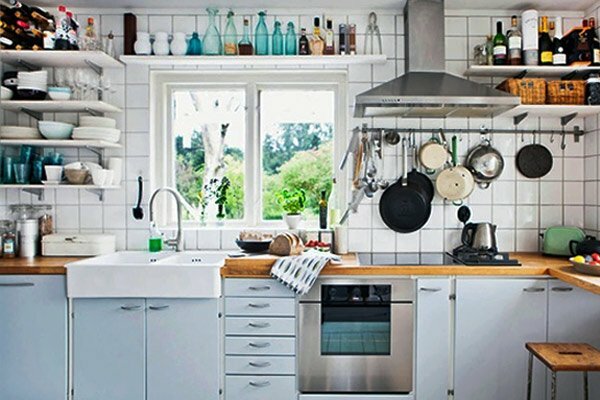 No need to mention their functionality: they enable the room to be more organized and neat, and save up so much space. If you want to make small but effective changes, pick one of these ideas and get ready to feel the difference. 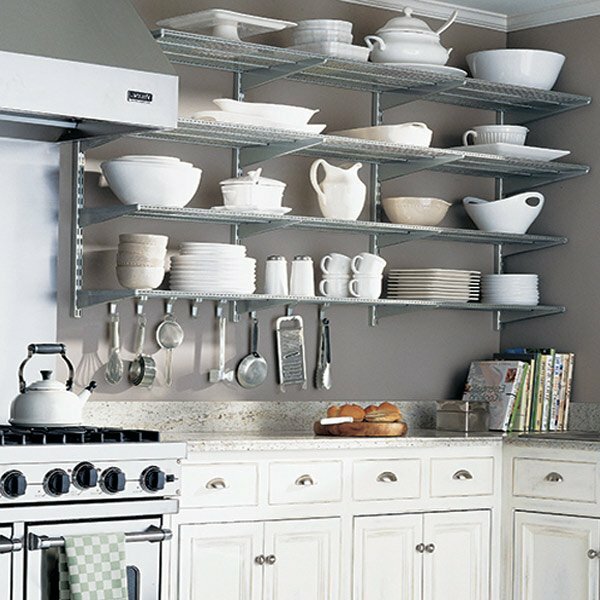 Open shelving is one of the most commonly used decoration since it offers style and functionality – whatever is on there is easily reached. 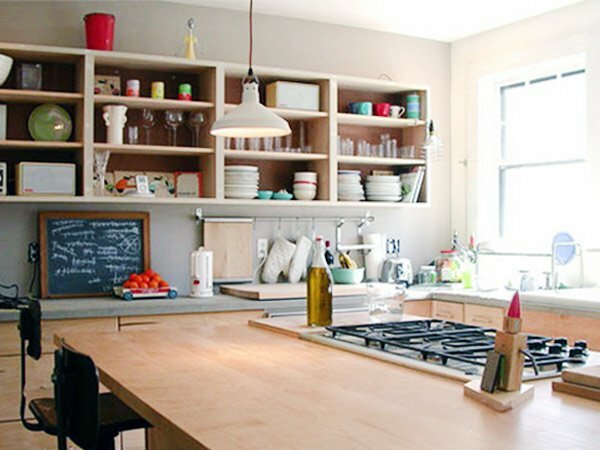 You can also make use of unnoticed space by removing the covers on the bottom cabinets and decorate with books or pots. 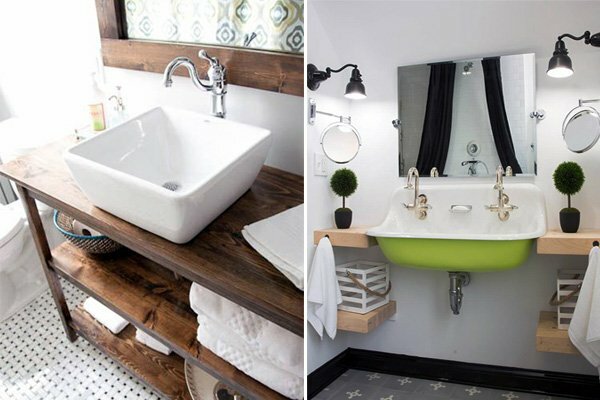 You can install the drying rack over the sink; that way you will have a collective style. 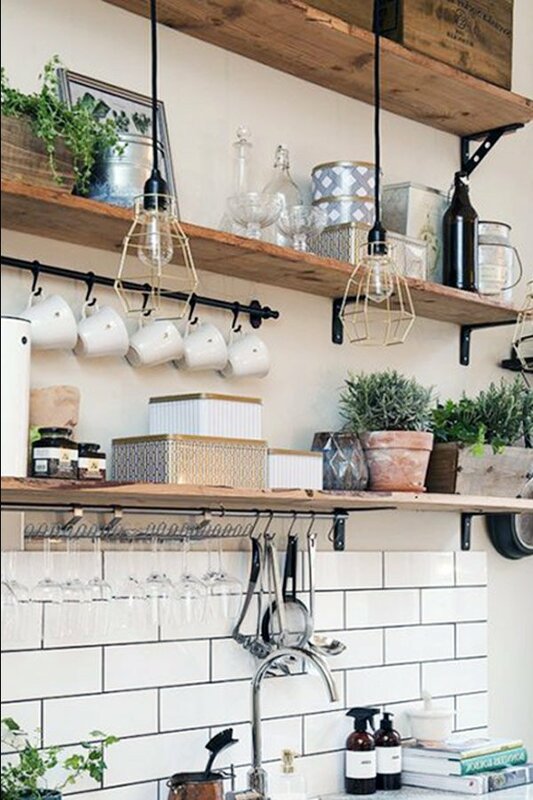 This comes in very handy if you especially have a smaller kitchen. 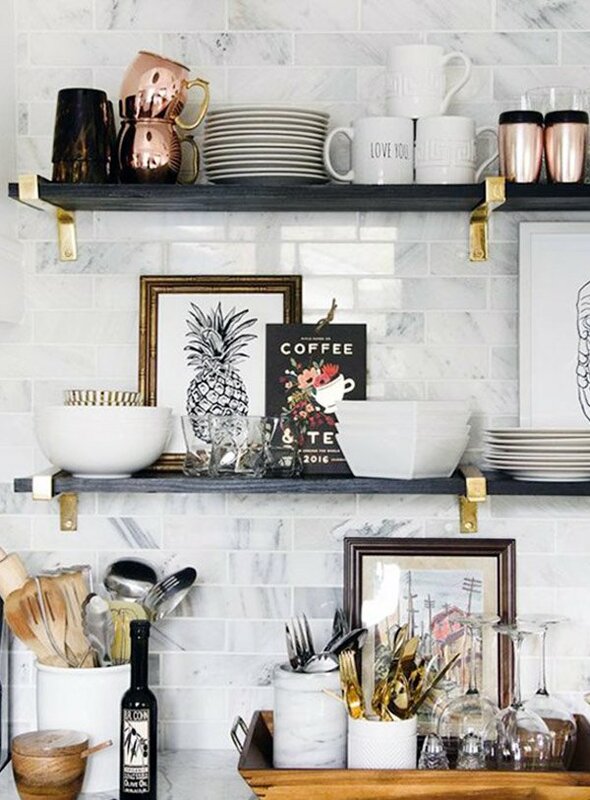 Shelves do not always have to hold up your kitchenware. 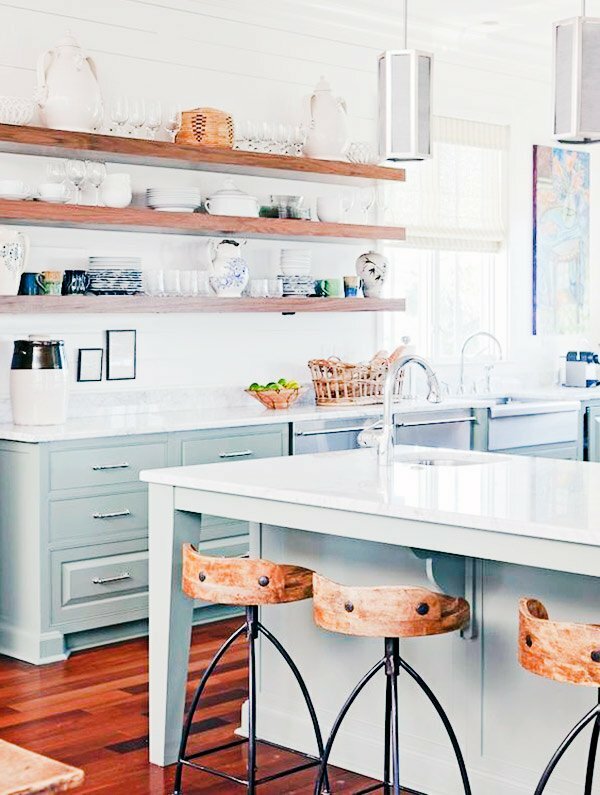 Install a suspended shelf over your kitchen table or counter for your lighting, and enjoy the modern look it brings. 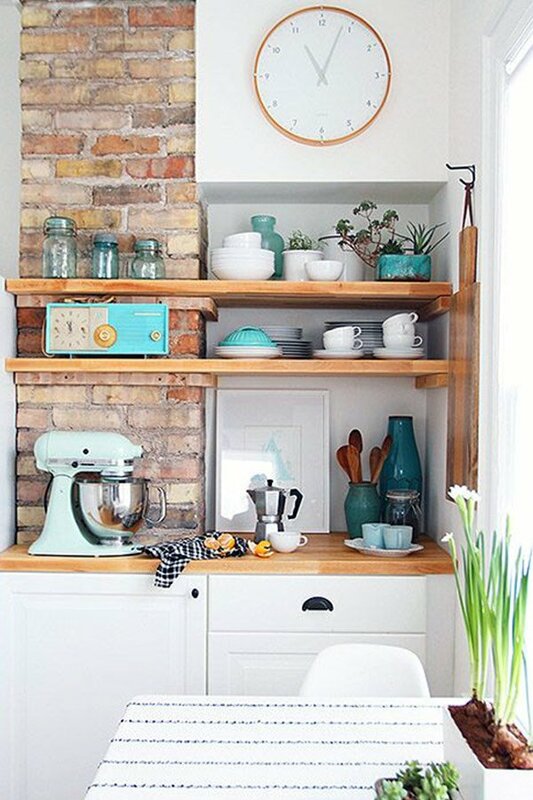 Use different colors for wall mounted shelves, or paint the wall behind the shelves to make them pop out. 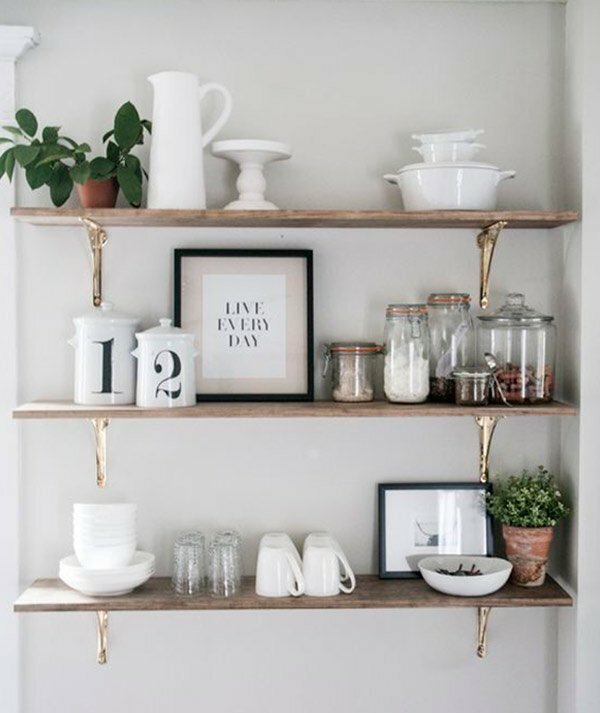 Sick of wooden shelves? 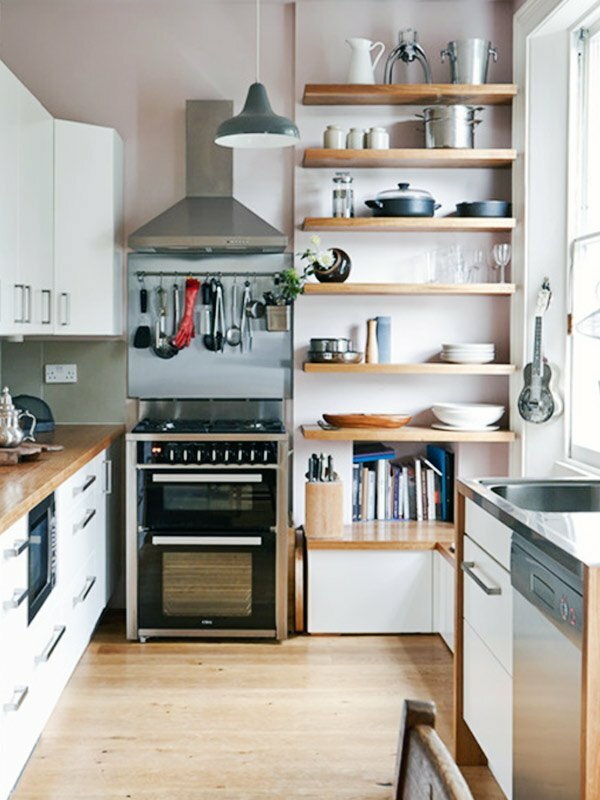 Try metal, steel or glass shelves and bring a contemporary, industrial approach to your kitchen. 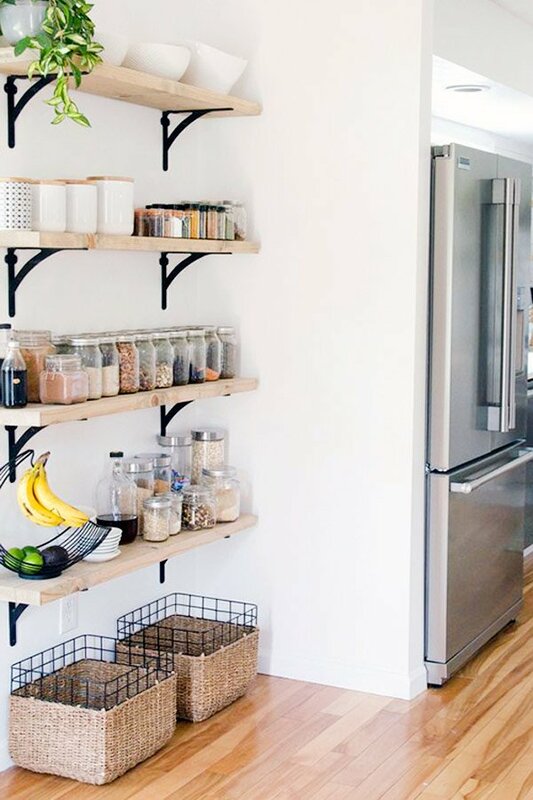 These modern shelves offer even more storage space. 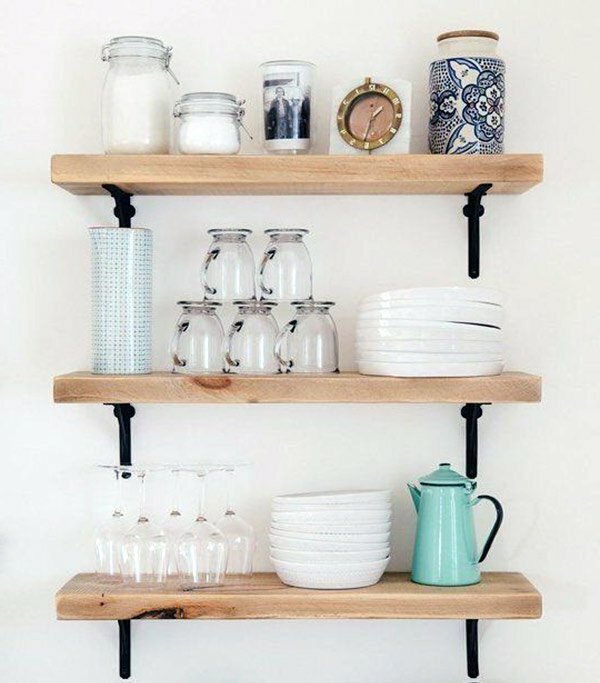 You can use them to place your wine bottles, and make use of the top by placing often used items. 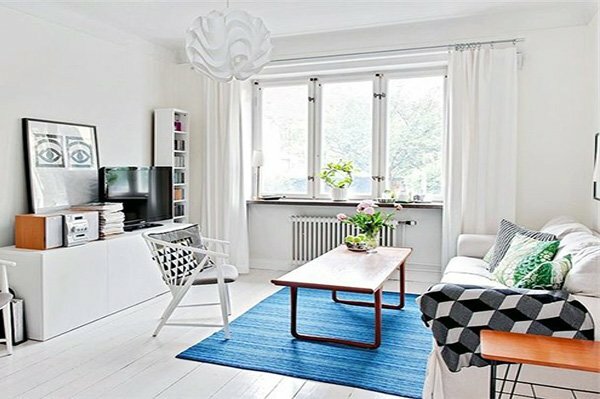 These do not have to be in your living room only! 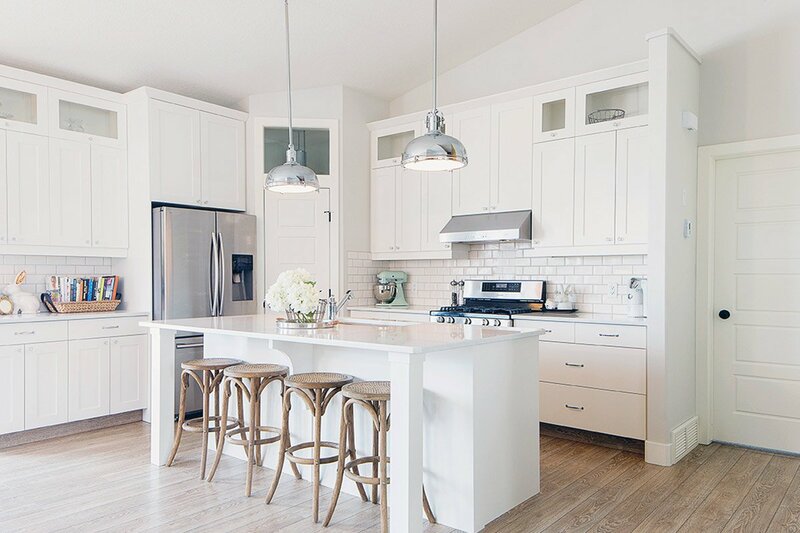 They bring a rather artistic feeling, and open up the space even more. 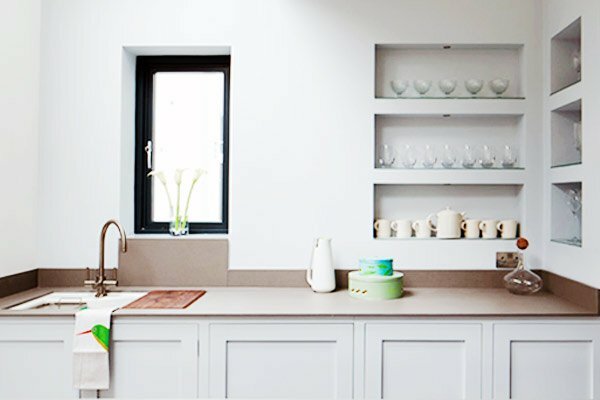 If you’d like to add a modern touch to your kitchen, the following idea will be useful for you. 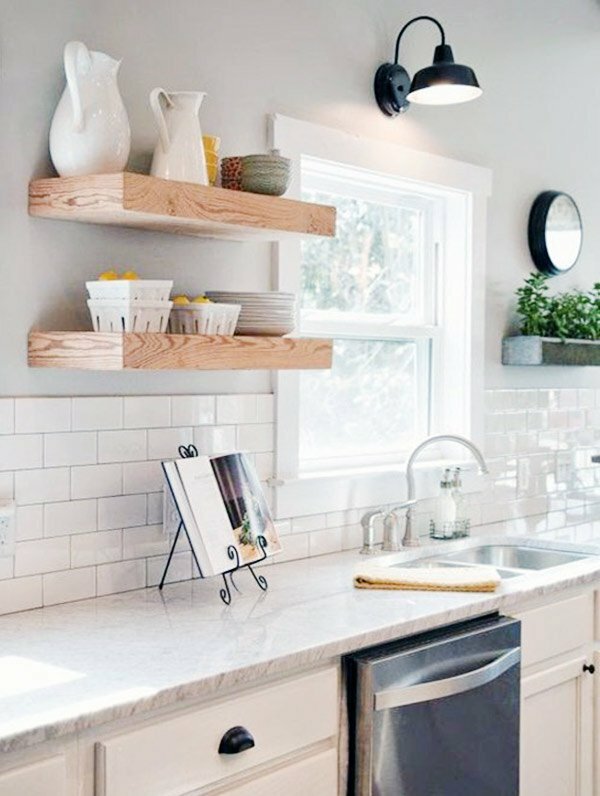 The following design is a great choice if you’re looking for a DIY kitchen shelf design, espeacially if you have a rather smaller kitchen.